Barbara De Angelis (born March 4, 1951 in Philadelphia, Pennsylvania) is an American relationship consultant, lecturer and author, TV personality, relationship, personal growth adviser and spiritual teacher. De Angelis received a master’s degree in psychology from Sierra University in Los Angeles, and a Ph.D. in psychology from Columbia Pacific University, a now-defunct and non-accredited university previously located in San Rafael, California. De Angelis has written fourteen best-selling books in these fields, including the New York Times bestselling books How to Make Love All the Time, Secrets About Men Every Woman Should Know, Are You The One for Me? and Real Moments. Her infomercial “Making Love Work” won an award as Best Infomercial of 1994. 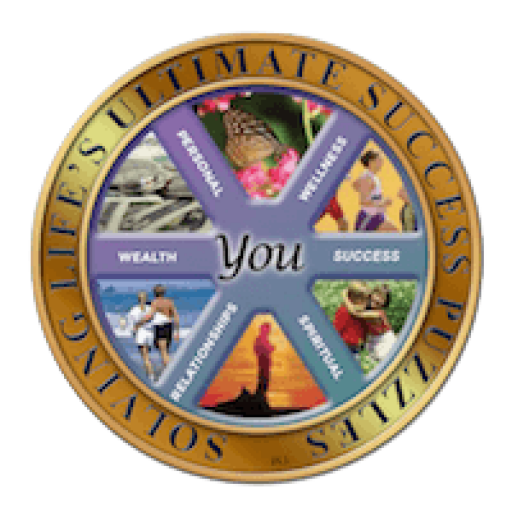 She was the founder and executive director of the Los Angeles Personal Growth Center for 12 years and is president of Shakti Communications, Inc.
De Angelis was born and raised in Philadelphia, and has been married five times as of 1995. Her spouses have included magician Doug Henning and author John Gray, who along with De Angelis while they were married, received an unaccredited PhD degree by correspondence from the now-defunct Columbia Pacific University. 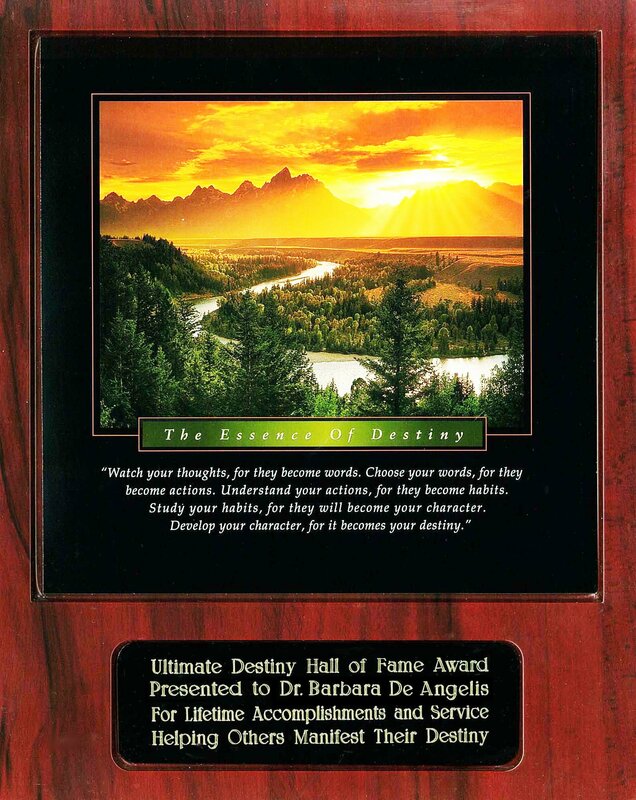 Dr BARBARA De ANGELIS is one of the most influential teachers of our time in the field of personal and spiritual development. For the past thirty-five years, she has reached tens of millions of people throughout the world with her inspirational messages about how to create a life of true freedom, mastery and awakening. As a best-selling author, popular television personality and sought after motivational speaker, Barbara is legendary in the field of personal transformation as one of the first people to popularize the idea of self-help in the 1980’s, and as one of the first nationally recognized female motivational teachers on television. Through her sold-out seminars, TV and radio programs, publishing and speaking, she has created her own Barbara De Angelis Brand, and is sought out not only by corporations, celebrities, and entrepreneurs, but by anyone who wants to learn how to transform themselves, their business, and their relationships from the inside out. Dr Barbara De Angelis is the author of fifteen best-selling books which have sold over ten million copies and been published throughout the world in twenty-five languages. She has had an amazing FOUR #1 New York Times Bestsellers, including Real Moments, Are You The One For Me?, Secrets About Men Every Woman Should Know, and Chicken Soup for the Couples Soul, as well as HOW DID I GET HERE? Finding Your Way To Renewed Hope and Happiness When Life and Love Take Unexpected Turns, which received numerous awards and high acclaim. Dr Barbara De Angelis’ television career has been just as far-reaching as her publishing career. In 1994, she wrote and produced the TV infomercial, Making Love Work, which won top honors in the industry, and was seen throughout the world by hundreds of millions of people. Barbara appeared weekly for two years on CNN, and has hosted her own daily television show for CBS TV, and her own popular radio talk show in Los Angeles. She has been a frequent guest on OPRAH, THE TODAY SHOW, GOOD MORNING AMERICA, THE VIEW, GERALDO, and POLITICALLY INCORRECT, as well as a regular contributor to E Entertainment and EYEWITNESS NEWS in Los Angeles. Barbara also produced and starred in a one hour special for PBS Television. Over the past twenty years, Dr. De Angelis has been in demand as a motivational speaker and is known for being one of the most moving and inspirational female speakers in the world. She has given hundreds of presentations to groups including AT&T, Proctor & Gamble, Crystal Cruise Lines, and Young Presidents Organization. 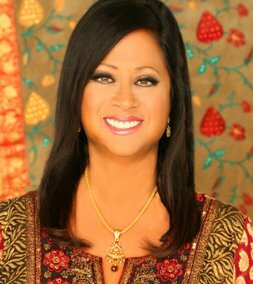 She has been a featured presenter at countless conferences along with His Holiness the Dalai Lama, Sir Richard Branson, Deepak Chopra, Wayne Dyer, Louise Hay, F. W. De Klerk, Les Brown, and many others. Dr Barbara De Angelis is the recipient of the highest honor from Toastmasters International as their Golden Gavel Award Winner for 2007—one of only FIVE women to receive this award in Toastmaster’s 50-year history for being one of the most outstanding speakers of the century. Recently Dr. De Angelis was one of the featured inspirational teachers in the new documentary DISCOVER THE GIFT, along with His Holiness the Dalai Lama, Reverend Michael Bernard Beckwith, Sri Sri Ravi Shankar and other spiritual luminaries. Dr Barbara De Angelis is currently president of SHAKTI COMMUNICATIONS INC., dedicated to bringing enlightened messages to the world through all electronic and print mediums. Dr Barbara De Angelis’ remarkable life achievements span over three decades, and she credits her dedication and unrelenting commitment to her own personal journey as the source of all that has come through her to millions of people. She is a serious seeker who has deeply immersed herself in spiritual practice and study from the age of 18, and spent many years in residence with several of the most renowned spiritual masters of our time. It is on the foundation of this profound inner wisdom that she offers her life-changing programs on “TRANSFORMATION FROM THE INSIDE OUT”. Dr Barbara De Angelis lives in beautiful Santa Barbara, California. Her most recent book is SOUL SHIFTS: Transformative Wisdom for Creating a Life of Authentic Awakening, Emotional Freedom and Practical Spirituality. 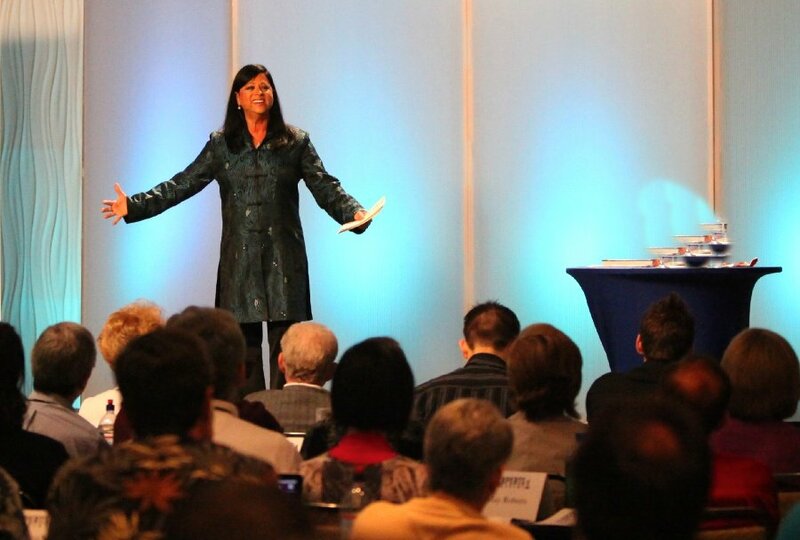 Barbara is one of the finest transformational teachers we have in the world today. There is no journey more important than the one we take to our own Self, and there is no guide on that journey more articulate, wise and loving than Barbara De Angelis.